We will organise oral cancer screening and awareness camp for people of palanpur district in Gujarat. Team of oral and maxillofacial surgeons and few dentist will go for the camp. FREE and open to community! This is a visual and physical exam of the mouth and the neck. Some doctors may use a special light or a special dye to aid in the discovery of tissue which are suspicious. No blood work required. 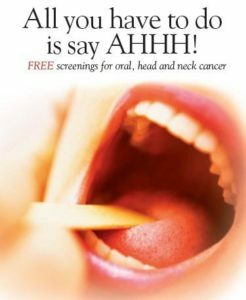 Head & Neck Cancer Screening open to public. 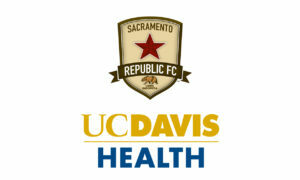 The UC Davis Department of Otolaryngology's Head and Neck Team will host a booth at the Sacramento Republic FC match on Saturday, April 7. 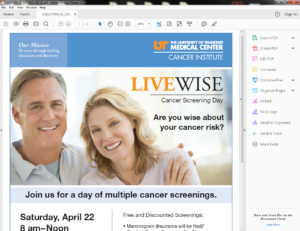 Stop by to play games, win prizes, and learn more about the HPV vaccine.